This post originally appeared in the Mayo Medical Laboratories blog. 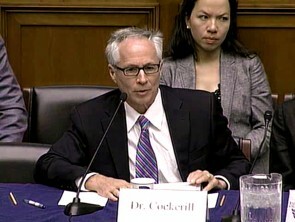 Franklin Cockerill, M.D., chair of the Mayo Clinic Department of Laboratory Medicine and Pathology, participated in the 21st Century Cures Roundtable on Personalized Medicine hosted by the U.S. House of Representatives Energy and Commerce Committee on Wednesday, July 23. Throughout Dr. Cockerill’s remarks, he emphasized the importance of providing proper government funding for research and regulatory bodies, harmonizing regulations, emphasizing clinical validation, ensuring patient safety, and encouraging innovation. A summary of Dr. Cockerill’s remarks have been embedded below.